Welcome to the second annual In Lacrosse We Trust March Madness all-name bracket! To be eligible for this bracket, the 64 players chosen had to be either a current division one men’s college player or be listed on a Major League Lacrosse (MLL) or Professional League Lacrosse roster. Players who were in the bracket last year and are no longer on a college lacrosse team and not on a professional team were replaced by some new players. Once again the, same exception as last year applies – Wells Stanwick was once again given the exception and allowed to be in the bracket because you have to have the whole Stanwick clan for this to be a real bracket. Seedings were based on where the returning players finished last year and with the new players I placed them where I feel their names best deserved their seeding. *NOTE: This article was written before the announcement of the MLL’s contraction to six teams, so players from the Ohio Machine, Florida Launch and Charlotte Hounds were still eligible. Easy pick! The defending champion from last year once again moves on. These two were both upset last year in the opening round. Rogers was a number three seed last year and Kealey was the fifth seed. One of them has to move on. Rogers ran into Cinderella favorite Colin Heacock last year and the 14th seed then lost in the next round to Alex Trippi. In the end, Challen is a pretty cool name. Last year Carson Song was a number nine seed and was bounced by Morgan Cheek (who is not currently listed on a pro roster, so he is not included this season). Cheek had a run that led him all the way to the sweet 16. Marasco had a first-round win before he was bounced the next round. I like JoJo Marasco but every time I say the name Carson Song I just smile and think it’s awesome, so with that in mind, we have our first upset of the bracket. Not much to say here but Hampton moves on; just too good of a name. Two UMass guys in the same bracket but only one will advance. Jack Starr won a National Championship last year as a starting goalie. As a freshman he’s not being upset in this round. Wilkins is just a power name but so is Tanner, so it truly comes down to the last name and Dismuke is just way better than Cook. We have two new players going up against each other in Virginia freshman defensemen Cade Saustad and another defensemen in recently added Bayhawks player Ricky Pages. Pages hasn’t played in the MLL since 2013 and is currently 32. He can’t upset the young buck. Forrest is just getting going. He had a great run to the sweet 16 last year before falling in that round. The former 10 seed won’t be getting upset; the Denver Outlaw moves on. Sorry Casey, you really didn’t have a chance. Class blew up last year in the MLL and just has such an amazing name. sorry Chanenchuk, but we aren’t seeing a number one seed upset in this region. Turnbaugh is also a new addition and is being welcomed with open arms. Eymer was upset by 14th seeded Peter Baum last year when Eymer was a three seed. And Taggart I hate to info,rm you but once again you are gonna lose to the lower seed. Brett Queener is finally out of retirement and is back out there and could get some runs this year in the PLL. This is a matchup of a current Albany Great Dane in Tehoka, and former Great Dane in Queener. Queener forever changed the goalie position by coming out of the cage and trying to push it and as a goalie it makes me really want to take him, but… Tehoka is just a great name, no upset in this region. Pfister vs Rock that’s what it comes down to. They both have super basic first names in Tyler and Will. In the end this is going to be my reasoning. If you use your fist and punch a rock your hand will hurt… With that in mind I’m giving the nod to the upset because rock beats fist. Logan Wisnauskas has been raining goals for the Terps the last couple of years… But see what I did there. Wisnauskas maybe raining goals but you can’t beat the name Raines Shamburger. Iacocca was upset last year by Luke Goldstock who was a 11 seed. Can he upset Quentin Buchman? As Lee Corso would say, not so fast my friend. Last year Dox Aitken was the true Cinderella story. 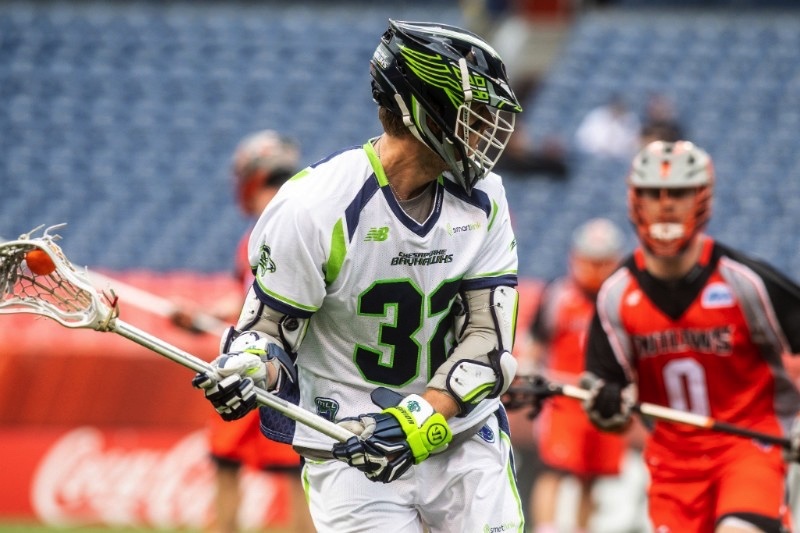 The 15th seed last year made a run all the way to the Elite Eight before losing to eventual champion Shack Stanwick. And Aitken isn’t getting upset by Rambo, the 15th seed in this round. The runner-up blows by Heningburg in the first round, not even a close matchup. Larken Kemp and Hayden Cheek; these are two amazing names. Hayden Cheek is the youngest of the Cheek brothers, at least that I am aware of… Morgan isn’t in the bracket and had a deep run last year. The family keeps pushing on and picks up a big win for the young freshmen. Sorry Larken, you have a great name but you ran into a buzzsaw of a family in the Cheeks. I just talked about how great the Cheek family is… It’s elementary, my friend. Sorry Greyson the 5 vs 12 is happening in this region. I don’t know why I liked Murray’s name so much last year. Mike Manley is a man and that’s my thought process in this battle. That’s why I’m taking the upset. What’s up Brody? It’s the ultimate surfer name and I do love the name Sage, but the surfer dude is moving on. This isn’t close. Swartwood wins easily. Kian Olexo is an electric name. The young freshmen from Virginia is repping well for his class as he is the second freshmen from his team that we will see move on. I’m a big Reed Junkin guy. He’s winning again. 16 Tre Leclaire, Ohio St. If you asked me to pronounce Teioshontathe McComber’s name I don’t think I would come close to getting it right. The freshman attackman for Albany gets the W.
Khan vs. French, a great battle, but Keegan just overpowers the first name Austin. He’s a peacock, you gotta let him fly. The Stanwick family is all moving onto the second round. Peter Baum had a big upset last year as he upset a three seed as a 14th. Knute Kraus was a new addition to the bracket. The Cannons’ defensemen hails from Salisbury University. The pole has only played in four games in the MLL in his career. I do love Peter Baum and am a huge fan of the Baum Squad. But Knute Kraus is a dynamite name. Their is no way Trippi is tripping up in this first round.